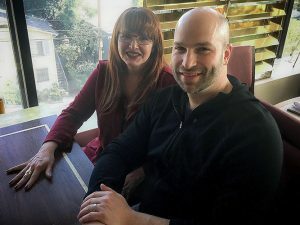 Two film alumni, Liz Bronstein ’89 and Ben Selkow ’96 collaborated on the new CNN series, Believer. “We have to give a shout-out to Jeanine Basinger, who changed all of our lives with her incredible mind and teaching,” Bronstein notes. 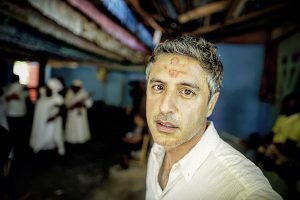 A new CNN original series, Believer with Reza Aslan, premieres Sunday, March 5, at 10 p.m. ET. Billed as a “spiritual adventure series,” in which Aslan, acclaimed author and religious scholar, will “immerse himself in the world’s most fascinating faith-based groups to experience life as a true believer.” The show employs the talents of two alumni who majored in film at Wesleyan: executive producer and show runner Liz Bronstein ’89 and director Ben Selkow ’96. 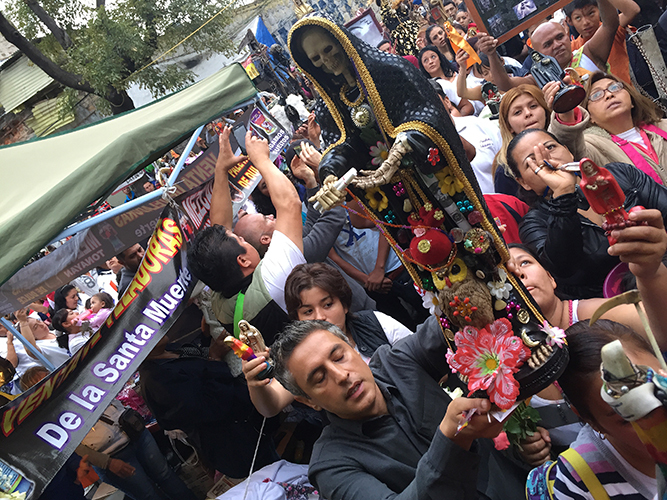 Additionally, Professor of Religion Liza McAlister provided both academic scholarship and on-the-ground connections when the crew traveled to Haiti for the segment on Vodou, which will air as third in the series. In one of these (see the trailer), Aslan is seated on the sand next to a cannibalistic tribe member, whose gestures and mood turn threatening. Aslan calls Selkow over from off-camera for assistance. One of the biggest challenges in filming the show was gaining access to religious communities that were often closed off and wary of outsiders. Bronstein found that working with academic scholars who had done extensive field research often opened a lot of doors in local communities. In the episode, McAlister provides Aslan with both the historical and cultural perspective on Vodou. “But more than that, she acted as an incredible ambassador and helped us get access to people we wouldn’t have known,” said Bronstein. The team worked with a thesis statement for each episode, often finding the dramatic structure through a conflict. “Most episodes look at a religion that’s under siege or at least highly misunderstood for a variety of reasons,” Selkow says. While the show was filmed a year ago, the two agree that the series is even more relevant today. “It demonstrates compassion for others, domestically and globally,” says Selkow.